This is a "DATA BASE" doujinshi boasting over 100 pages (A5 size). We have a large number of reissue requests after sold out. Here it comes back in PDF format! 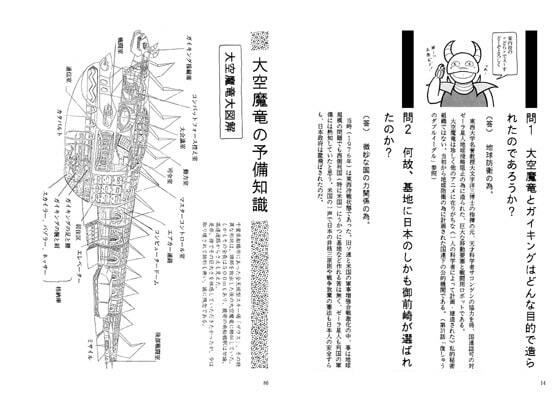 111 answers to questions about Daikuu-Maryu Gaiking, such as "how does the Daikuu-Maryu fly?". This is the doujinshi rumored that Ban*rest used as a reference. *..... Because most of the content is made up of words, the file size is fairly small. Artist: Queen Youka, and Yamato Takerunomikoto. Scheduled release Mar. 4, * Release schedule subject to change.